Available from local and national retailers throughout the US. Today’s insurance regulation in the United States is at a crossroads: while some segments of the insurance industry are moving away from a state-based approach toward regulation, others favor a greater role for the federal government—despite the opposition from other stakeholders. 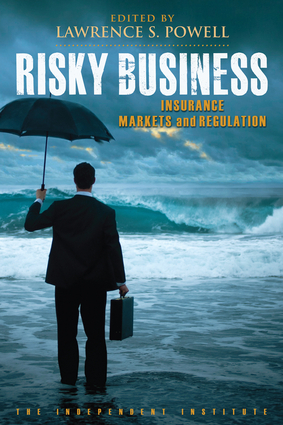 Written by leading scholars in risk management, this book addresses some of the most important questions facing the future of state and federal regulation of the insurance industry. Examining not only the impetus behind various reform proposals, but also the historical development of insurance regulation in the United States, it discusses alternative regulatory frameworks used in the United States and in the European Union and, thereby, increases the options that reformers may wish to consider. Lawrence S. Powell is a research fellow at the Independent Institute and an associate professor and the Whitbeck-Beyer Chair of Insurance and Financial Services at the University of Arkansas–Little Rock (UALR). He is the recipient of the Excellence in Research Award from the UALR College of Business and the coauthor of Pricing and Reserving Practices in Medical Malpractice Insurance, Profitability in Medical Professional Liability Insurance, and Tort Reform and Commercial Automobile Insurance Costs. He lives in Little Rock, Arkansas.